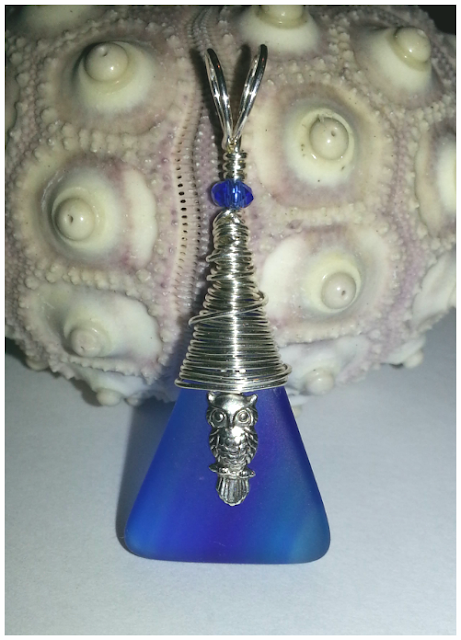 Here is a custom order designed in collaberation with a customer for a special gift. Matte beach glass with owl charm wrapped in sterling silver wire. 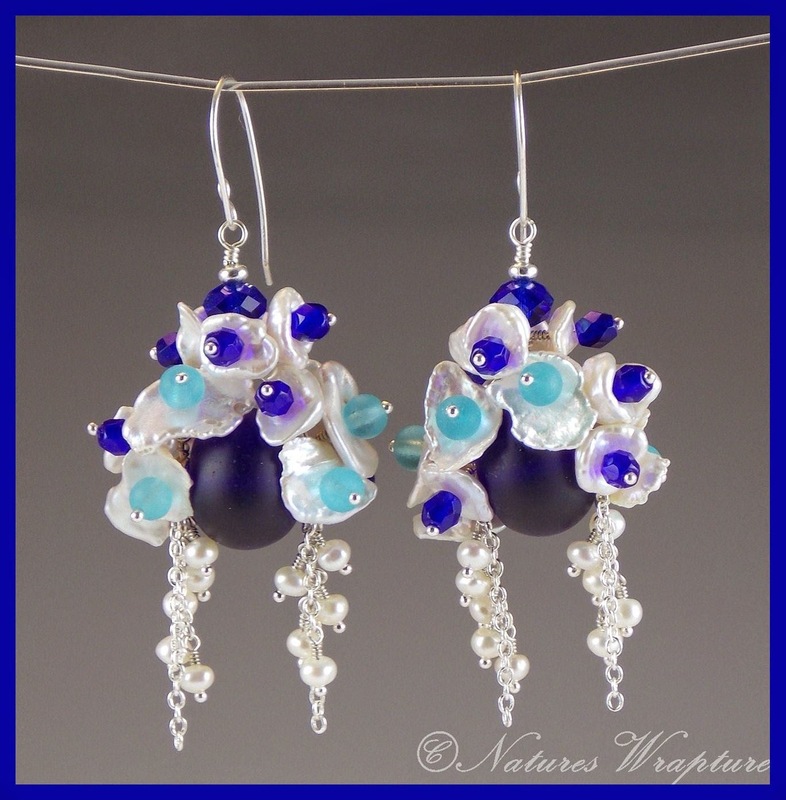 Matte cobalt blue glass beads, cobalt crystals, keishi pearls, matte aqua glass beads, and seed pearl earrings in sterling silver. 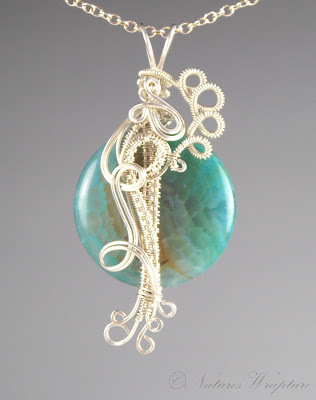 2 1/2" x 1 1/8"
Crackled Agate Wire Wrapped Pendant in Sterling Silver. 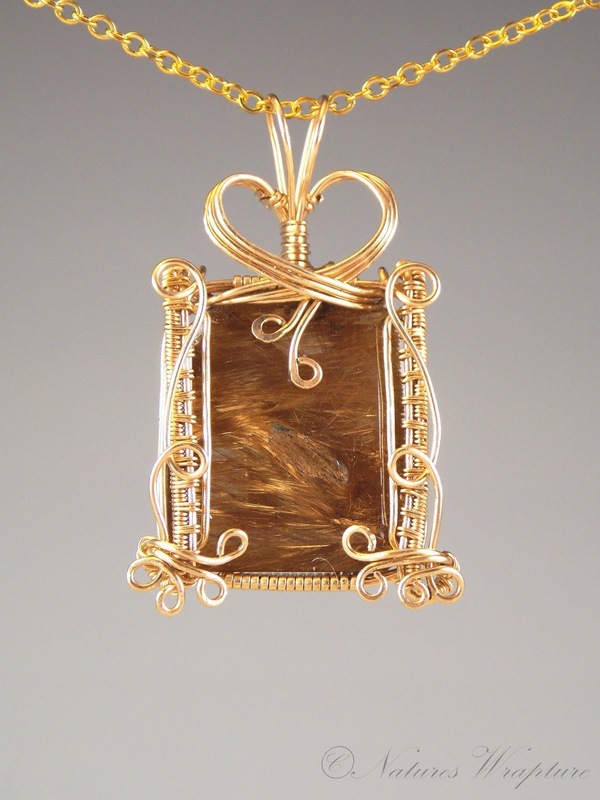 2 1/8" x 1 1/16"
Each of this style of pendants is different in both color and pattern, and wire decoration. This agate piece is a soft aqua blue shading to a blue green and white with an amber shadow on one side. Copper use dates back some 10,000 years across the globe. With such a long and diverse history, copper has been used for many things. From cooking utensils to decorative inlays on buildings, ornaments, weapons, armor and of course jewelry. Copper jewelry collections span hundreds of years. In Ancient Egypt copper was used for jewelry and ornaments worn on the body to keep away evil as well as to show social status. There is evidence that the ancient Greeks or Mycenae possessed advanced smelting techniques when copper ingots were found on the island of Crete. Renoir made large, bold and beautifully sculpted copper jewelry. 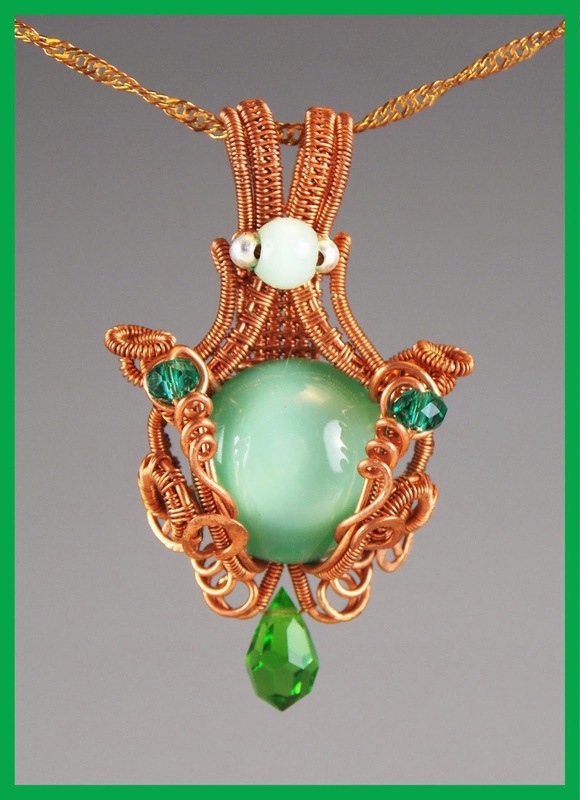 In more modern times, copper handmade jewelry was created by Frank Rebajes around the late 1930s to the 1960s. His designs included beautiful cuffs and brooches, borrowing from nature with leaf motifs, shells and butterflies. 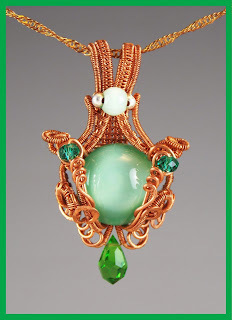 Handmade jewelry is still created with copper today, as it is a particularly attractive metal. It casts a warm glow on the skin which is extremely flattering and copper is believed to have beneficial properties such as being good for arthritis, balance and clearing ones chakras. While it is considered a soft metal, tarnishing more than silver from a blackish color to eventually green, copper is actually quite easy to care for and clean. So if you have some copper jewelry, you’ll want to know more about its overall care, including some tips for copper jewelry cleaning. Caring for copper jewelry properly can extend the life of its shine. One way to help ensure the longevity of your copper jewelry is to keep it away from moisture (including humidity) as much as possible, as this will actually accelerate the tarnishing process. Proper storage is another aspect of its care. To keep it shiny, store your copper jewelry in a sealed bag. Anti-tarnish tabs in the bag will extend the time between cleanings. 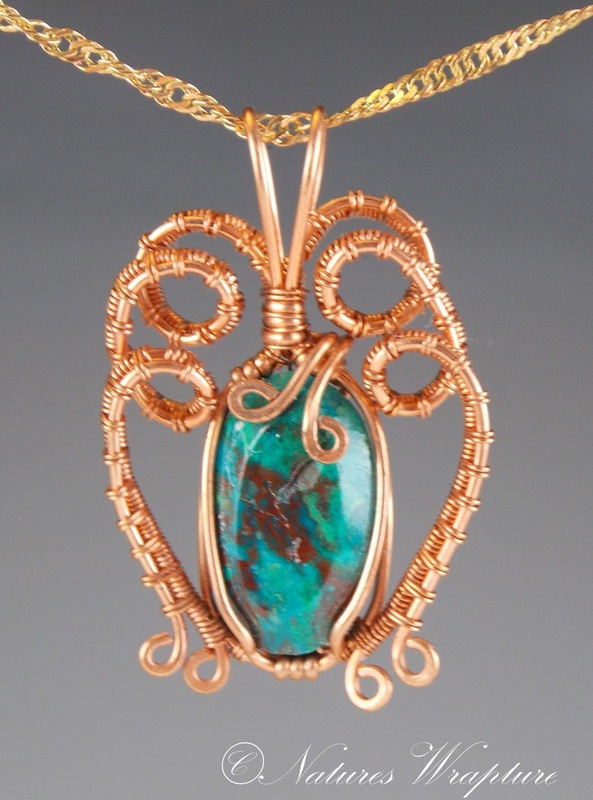 Your bright finished copper jewelry can be polished with a jewelry cloth intended for silver. There is no way to completely eradicate tarnish; and although it will not harm the jewelry, you will inevitably have to clean it at some point. Don’t be alarmed by this, as it is easy to clean copper jewelry and restore its original shine when this occurs. If you choose antiqued copper jewelry, clean it as needed only with a soft damp cloth, dry and store. Commercial jewelry cleaners – The use of cleaning products that are specifically designed for polishing jewelry is quite popular, but may be expensive. Since there are many types available, you’ll want to be sure that the one you choose is appropriate for copper. For instance, Nevr-Dull polish cleans all types of metal, including copper. Something of this nature may provide more for your buck, especially if you own other types of jewelry (and most people do). Another aspect to consider with commercial polishes (and even homemade ones) is the gemstones that may be part of your copper jewelry. Care must be taken to ensure that these too are not affected by the product. 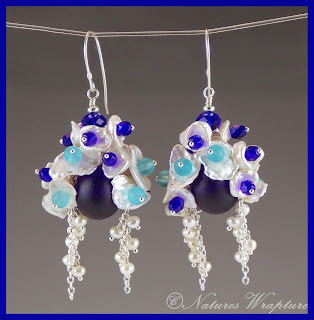 Baking soda – While many people frown upon the use of baking soda on copper jewelry due to its abrasiveness, this method works wells for many types of jewelry. Mix a small amount of baking soda with just enough water to form a paste. Dip your jewelry into the paste, lightly go over it with an old, soft toothbrush, and then rinse clean. Dry the jewelry with a soft, cotton cloth and it’s good as new. Lemon juice – A solution of lemon juice (just a few drops), a teaspoon of salt, and some water is sometimes used to clean copper too. Allow the jewelry item to soak for a few minutes in the solution and then rinse clean. Repeat as needed and dry with a cloth. Alternatively, some people choose to soak their copper jewelry in straight white vinegar instead. Tomato acid – This is found in many commonly used kitchen products, like ketchup and Worcestershire sauce. While it may be somewhat messy, both of these products are great for shining dull copper jewelry. However, only use this method for items having no precious stones, which could get damaged. Simply use an old toothbrush to apply the product and lightly scrub clean. Rinse and then wipe gently with soft cloth. 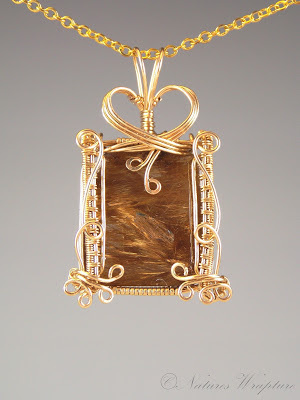 Any way you choose it, your copper jewelry is a connection to our ancient past and the human impulse to adorn him/herself with beautiful metals.